If you think about it, maybe the reason the smartphone companies didn’t introduce their new flagship all at the same time in Barcelona this year was that they most likely have the same “new feature,” which is, of course, something that has to do with the camera. Apple was the one that started it by using artificial intelligence, Samsung kind of copied the gimmick, Huawei also did the gimmick in its own way by using 3 cameras at the back. Nokia’s Sirocco is the only one that didn’t get into the gimmick, most likely because the phone uses an older chipset. 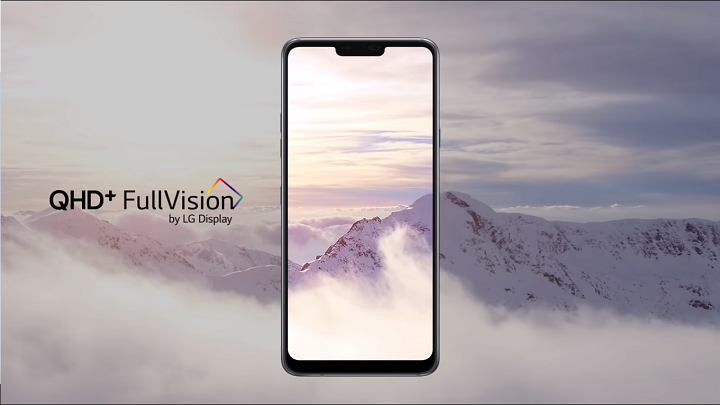 And here we got another phone that copied the gimmick, the LG G7 Thinq. 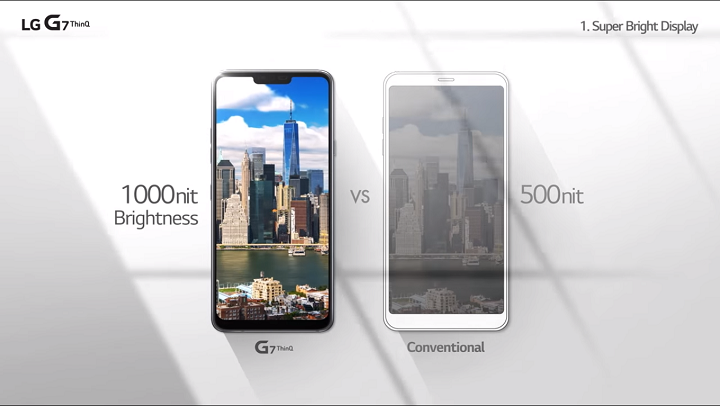 But before we disregard this phone as a copycat we should remember that the G7 is part of the Thinq initiative by LG, which connects your phone to your LG appliances that are IoT enabled. This means that you should be able to control them through your phone. Compared to LG’s V30, the phone is wider by a few millimetres and weights heavier by a few grams. The screen is an LCD display, which is kind of weird in an era where OLED is king. But using LCD does have its advantages, like being able to make your screen brighter. it has 3120 x 1440 pixel resolution and can play 4k and 1080p videos at 30 fps while also being able to play 720p videos at 120 fps. This is great if you like watching Youtube videos in high definition and you like that 60 fps meme that’s the standard nowadays. The G7 uses the same latest Snapdragon 845 chipset, compared to the V30’s Snapdragon 835, and has 4GB of RAM. The only thing that the V30 has above the G7 is a larger battery. The great thing about it though is that they can both charge wirelessly, but that’s to be expected: if the V30 can it would be weird for the G7 not to be able to have the same feature. The G7 runs Android 8.0 Oreo and has a local storage space of 64GB, which can be expanded to up to 2TB using a microSD card. This is kind of an overkill because there are no 1TB micro SD cards in the market today, though Sandisk was able to create a 1TB SD card in 2016. We may expect a 1TB micro SD card in the future, but we’ll probably see a G8 or a G9 which can support 4, 6, or even 12TB by then. It definitely won’t happen in the phone’s own lifetime. The camera, just like most of this generation’s, has A.I. capabilities. It can identify the subject of your photo and provide smart recommendations based on it, like choosing which filter fits better for the photo. It also has a Super Bright function which automatically activates when it’s dark. The G7 also can do Super Wide Angle shots so you can fit more people or more of the surrounding in your shots. The phone also uses an advanced dtsX Surround Sound Boombox Speakers, just as reported, that uses the inside of the phone as a resonance chamber which gives the smartphone great bass and can amplify the sound. Finally, there’s the Super Far Field Voice Recognition. This function lets you use the G7’s voice commands from a far distance. Now you don’t have to be in the same room as your phone, which is great to have if you need to use Google Assitance for something while doing something else away from your phone. If you have LG IoT appliances at home, this phone might be the right one for you. 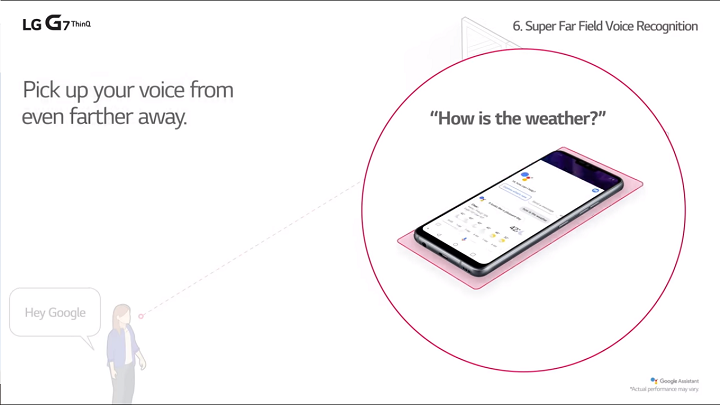 Having a bigger range of voice commands, this might prove useful with LG’s Thinq initiative as well. The phone doesn’t have amazing specs though and can easily be outshined by other phones in the market, except for the Sirocco. If this phone is cheaper than Samsung or Apple it might just be the best phone out there right now. For now, there’s no reported price tag so we’ll just have to wait and see.